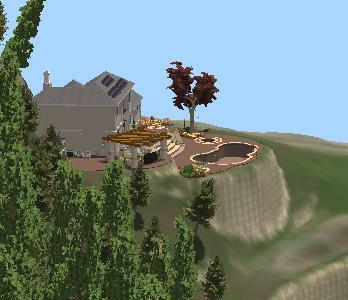 The Property Slope Stage allows you to customize the terrain of your design to create multiple slopes and elevations. 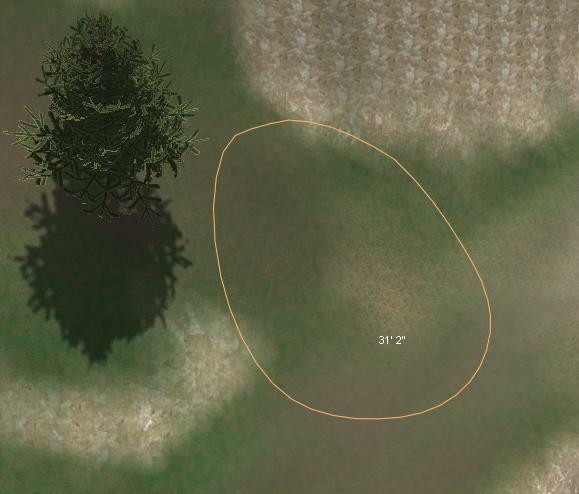 The six terrain tools will replace the regular Pool Studio tools when in 3D view in the Property Slope Stage. Elevations created in the 3D view will appear as topography lines in 2D. Smear: This tool allows you to push or smear a region of the terrain, which is useful for creating cliffs or turning a cliff into a smooth grade slope. Press CTRL to use. 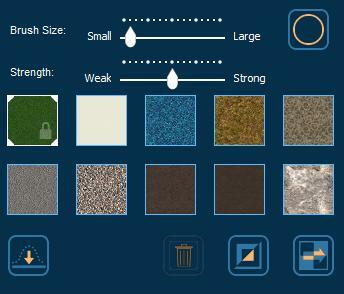 Changing Material Slots: You may replace the material in any Material Slot with a different material from the library. Select the Material Slot and then click on the Jump to Materials Stage button located underneath the Material Slots. 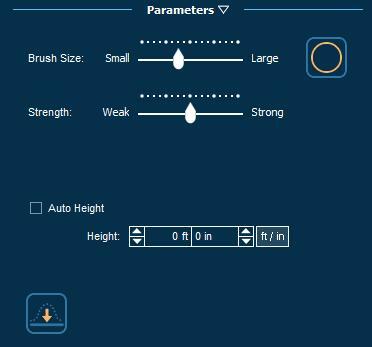 This button will automatically take you to the Materials Stage and select the material in your design. Select a new material from the Material Library and the new material will replace the old material in your design and in the Material Slots. 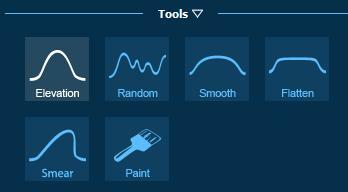 You can now return to the Property Slope Stage and paint with the new material. Please note, you can only change materials that you have already painted in the design. The Property Slope Stage has unique controls under Parameters in 3D. In the 2D view, you have the ability to set to the general grade of the property. 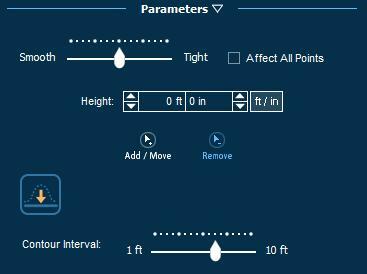 With these controls you can adjust the slope that runs through the entire property. The image to the right shows the top-down view of your drawing with a dashed line representing the direction the slope will point relative to the rest of your project. With the Move tool selected, you can click anywhere on the dashed line to insert points. Left-click and drag your mouse to move those points along the length of the dashed line. Right-click on any point to remove it. Here at the right, you can see a portion of the bottom view. With the Move tool, you can click anywhere in this view to add a point. Or left-click and drag the mouse to move an existing point around. And again, right-click a point to remove a point. Each point will give you the exact height it exists at relative to zero. At the bottom area you can see the distance between two points. The Reset Property button resets all changes to the terrain made in 3D. Please Note: Be careful, this is not an undo button. It will not undo just the last change you made to the terrain, it will undo every change you have made to the terrain in 2D and 3D in your entire design. You may undo the reset with the Undo button.